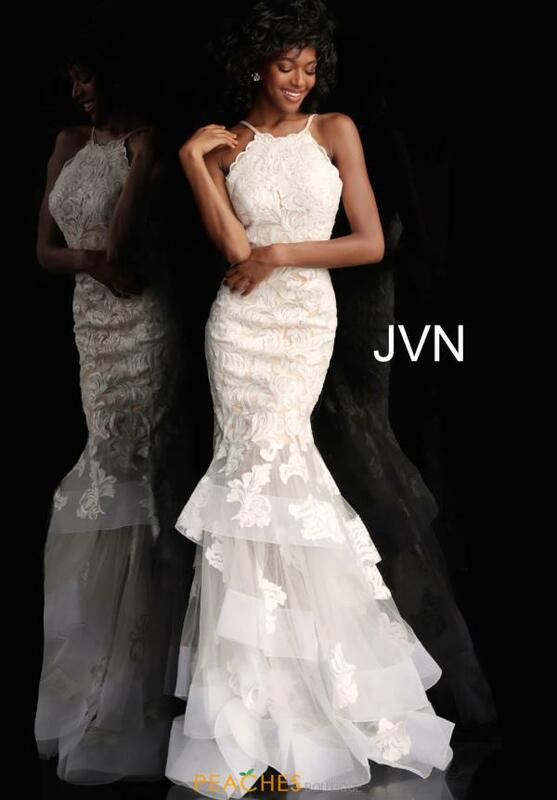 All eyes will be on you when you enter your prom in this gorgeous gown JVN 55908 from JVN by Jovani. The dress has a high neckline and an open back. 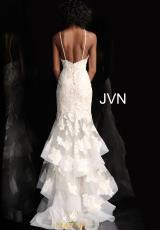 Delicate applique and sequins create delicate floral patterns which decorate this gorgeous dress. The flowers taper off towards the bottom, where the sheer fabric flows out into a subtle mermaid skirt and train, giving you a ethereal look.